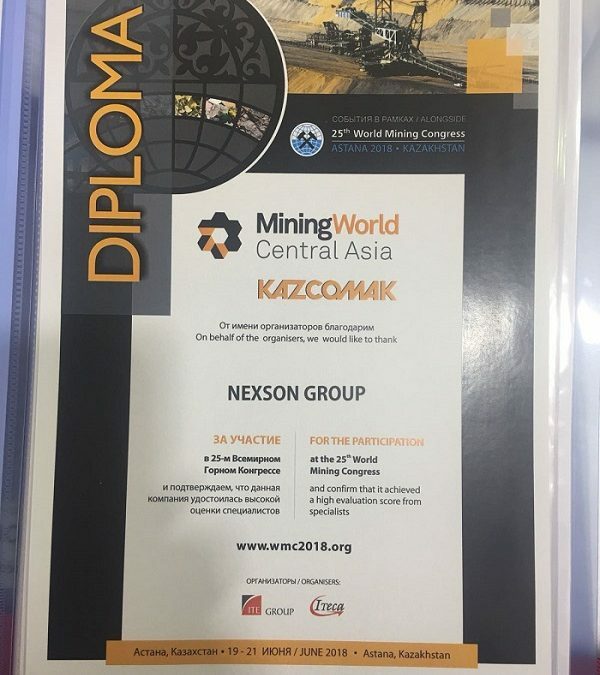 Nexson Group is currently taking part in the 25th edition of the MiningWorld Central Asia in Astana in Kazakhstan from 19th to 21st of June. This show is the largest international exhibition of mining and metallurgic complex in Kazakhstan and Central Asia and is providing a full range of technologies and services for mining and processing.It’s an essential event to measure the market, its projects, identify the competition , and present a quality know-how. Participating in MiningWorld Central Asia is an excellent opportunity to reach the mining market of Kazakhstan and other countries in the world. The addition of credibility through the establishment of the Business France Pavilion is an asset that enables Nexson Group to identify business opportunities and gather information on ongoing projects.